A Manhattan Condo Made of—Wood? “Engineered wood” isn’t a phrase that springs to mind when speaking of Manhattan real-estate projects. But a local partnership wants to change that, and the federal government hopes it succeeds. 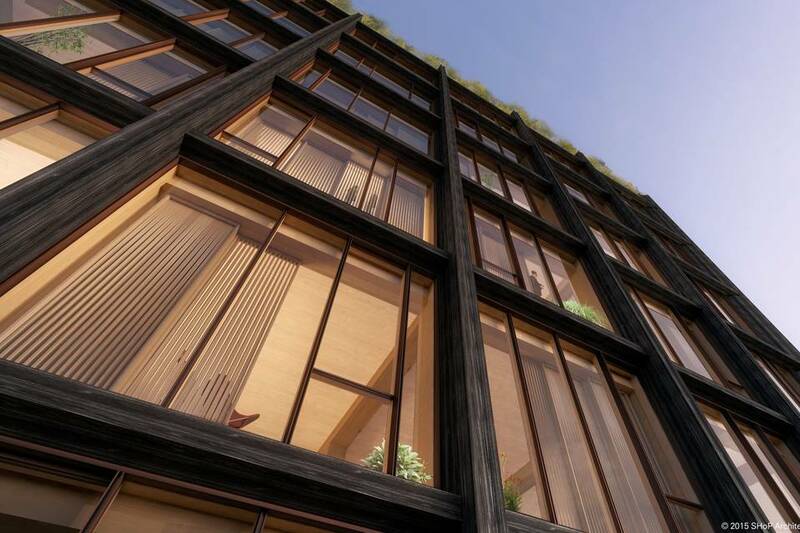 130 134 Holdings LLC, in partnership with Spiritos Properties, SHoP Architects and environmental consultancy Atelier Ten, is developing plans for a high-rise residential building at 475 W. 18th St. that would be constructed entirely of wood. The project, dubbed 475 West, is one of two that the U.S. Department of Agriculture, in partnership with two industry groups, the Softwood Lumber Board and the Binational Softwood Lumber Council, is to announce on Thursday as winners of the first U.S. Tall Wood Building Prize Competition.